What Are the Side Effects of Zolpidem? Taking zolpidem can cause some people to develop a rash. Although there are many possible side effects of zolpidem, some are more serious than others. Some of the more minor side effects include pain around certain body parts and gastrointestinal issues. 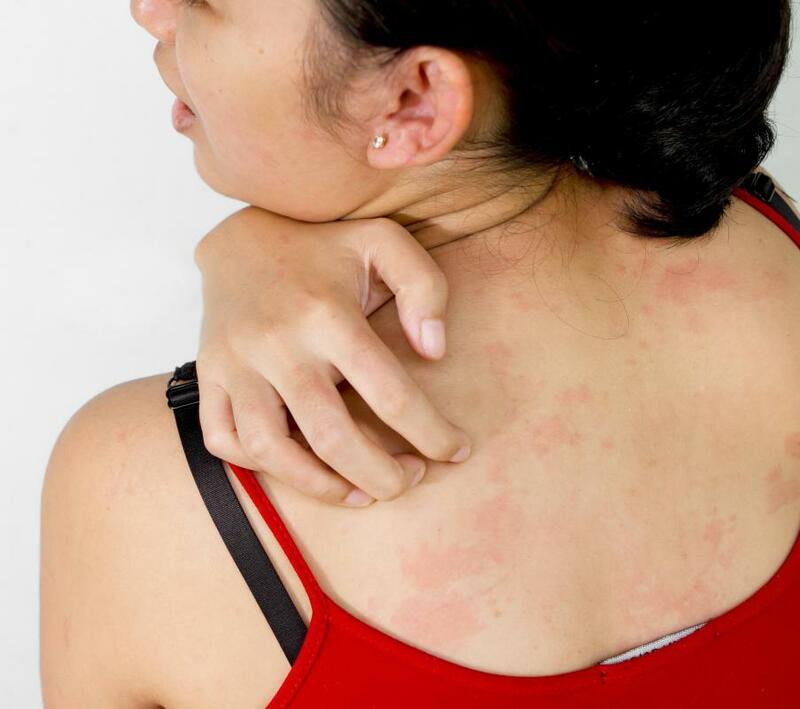 The more serious ones include skin complications such as rashes and itching as well as nausea and vomiting, and a medical professional should be contacted if any of these symptoms are experienced. More serious still, some side effects of zolpidem have been linked to overdose. Drowsiness and loss of consciousness as well as a slowing of breathing or the heartbeat should be looked for and monitored with extreme caution while on this medication. Quite a few side effects of zolpidem occur regularly and are not necessarily dangerous unless they occur with particular severity or persistence. Often, a person taking this medication may feel drugged and generally weak or have a headache. Sometimes changes in a person’s appetite may occur, as well as gastrointestinal issues such as constipation, gas, or diarrhea. Women taking zolpidem often experience unusually large amounts of menstrual bleeding, and both men and women report pain in their neck, joints, or back. Some other side effects include difficulties with balance and walking as well as unusual dreams or mouth dryness. While all side effects of zolpidem can be dangerous if they persist or exist in a severe state, a few of them are always dangerous, even if they do not stick around or seem minor. It is typically recommended that a doctor be contacted immediately if certain symptoms are present in a person who is consuming zolpidem. For example, skin issues such as rashes, itching, or swelling around or inside the mouth and face are considered serious side effects. A high heart rate or chest pain as well as difficulty breathing, strange sensations around the throat, and complications with swallowing are also considered dangerous. Vomiting, feelings of nausea, and vision issues can also be considered dangerous, and those experiencing them while taking zolpidem should contact a medical professional. A couple side effects of zolpidem are symptoms of overdose, and it is generally recommended that an emergency medical professional be contacted if one of these is experienced by a person who is taking the medication. Drowsiness, loss of consciousness, or coma if experienced for any amount of time can be an indicator of an overdose. Likewise, if a person who is taking the drug experiences slowness of his or her heartbeat or breathing, that can also be indicative of a dangerous overdose. How Effective Is Zolpidem for Insomnia? What Are the Different Uses for Zolpidem? What Are the Signs of a Zolpidem Overdose? How Effective Is Zolpidem for Pain? What are the Different Types of Sleeping Medications? What are the Different Types of Prescription Sleep Aids?